Candidates have begun submitting their nomination papers for the by-elections in NA-60 Rawalpindi. 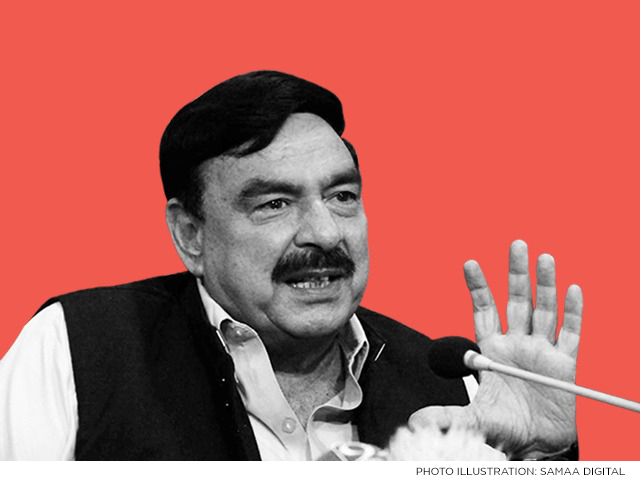 Among them is PTI ticket holder Sheikh Rashid Shafiq, who is the nephew of Railways Minister Sheikh Rasheed, has submitted his nomination papers, as has the PTI’s Mussadiq Ghuman. Rasheed, the head of the AML, had filed his papers for this constituency but the election in the area was postponed due to the incarceration of another candidate. PML-N’s Hanif Abbasi was sentenced to life in jail in the ephedrine quota case and disqualified from contesting the election. Sajjad Khan of the PML-N has submitted his papers for the constituency. Candidates have until August 30 to submit their nomination forms, after which the list of candidates will be posted on August 31. Scrutiny of the nomination papers will continue till September 4, while appeals against returning officers’ decisions will be heard till September 8. On September 13 the verdicts in the appeals will be announced. September 15 will be the last day to withdraw papers and a final list will be published. Candidates will be allotted electoral symbols on September 16, after which polling will be held on October 14. Muhammad Saleem Akhtar Khan has been appointed the returning officer for NA-60.